Myrtle Beach is one of the nation’s busiest tourist spots, and for good reason—it’s a fun and beautiful place to visit. Every year, millions of guests swarm the coastal area for summer sunshine and fun, filling the highways with cars and taking to the water in recreational boats. Unfortunately, these visitors also bring hazards with them, just by the sheer volume of people that are unfamiliar with either the streets or the “rules of the water” when boating. Accidents can and do happen every day, whether you’re a resident of our great state or a visitor. After an accident, the big question becomes who is responsible for bearing the cost. The answer is usually the insurance company, especially after automobile accidents, since auto insurance is mandatory by state law. Boating insurance is not mandatory, but it is a very good idea. Boating insurance can often be had for a fraction of the cost of car insurance. Collecting premiums. This is the monthly, quarterly, or annual fee that customers like you pay to the insurance company in exchange for a contract. The contract lays out the terms and conditions of when the insurance company will pay on a claim, but they will use every trick in the book to avoid paying, or to pay as little as possible. Investments. Insurance companies don’t just sit on the money they collect from you. Typically, insurers then invest that money in the market, including money market funds, bonds, and real estate. Many insurance companies even own major property, including skyscrapers, in cities across the nation. They then rent or lease office space in those buildings to other businesses to amass what is often an incredible amount of wealth. This revenue stream typically far outweighs the gain from your premiums, which makes any individual customer—like you and your family—worth very little to the company. Those are the main two ways that insurance companies stay afloat. It’s no accident that “pay out claims on customer policies” is not on the list. Intentionally stonewalling. 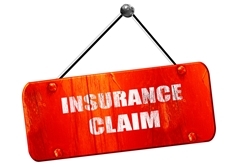 By drawing out the claims process as far as they legally are able, the hope is that you will eventually either just accept the lowest settlement or give up your claim entirely. There’s also the chance that you’ll miss a key filing deadline and your claim will become invalidated entirely. Using your words against you. Adjusters can take seemingly innocent questions and turn them against you in court, from the very beginning of the conversation. Answering “I’m fine” when an adjuster asks “how are you?” may be grounds for reducing or dismissing your injury claim, for example. Never speak to an adjuster without speaking to your lawyer first. Using surveillance. That’s right—your insurer may try to spy on you. Adjusters may try to make surprise visits to your home to catch you in the middle of an activity that they can use to claim your injuries aren’t severe, such as lifting your child or unloading groceries. They may even try to covertly follow you on social media, looking for photos you’ve been tagged in for evidence that they can use against you. One other trick that an insurer might use is to suggest that you don’t need a lawyer after an accident. Nothing could be further from the truth! The insurer knows very well that a skilled personal injury attorney can spot dirty tricks from a mile away. Of course they don’t want you to have an attorney! And that’s exactly why you need an experienced lawyer by your side. If you’ve been hurt in an accident here in South Carolina, the Law Office of Kenneth E. Berger is here to help you. Whether your accident was on the pavement or in the water, we know how insurers will try to dodge their obligations to you, the paying customer. We believe in standing up for your rights and holding insurance companies accountable for the contracts that they sign, so that you can get the compensation that you’re owed. To talk to us about your legal situation, call us today for a free case evaluation at 803-790-2800. Our offices are conveniently located in Columbia, and we proudly serve clients from all across the Palmetto State, including Sumter, Florence, and Myrtle Beach.